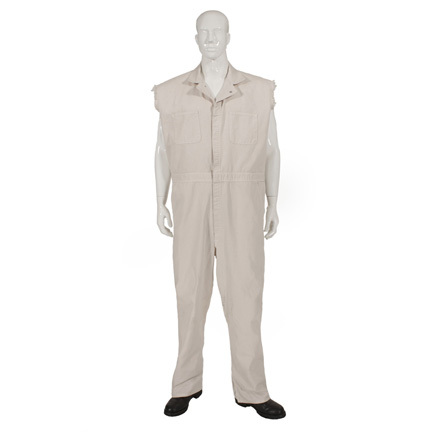 The Golden Closet is proud to offer collectors the "Gutterballs" costume worn by Jeff Bridges as the title character Jeffrey Lebowski aka "The Dude" in the Coen brother's cult classic, "The Big Lebowski." 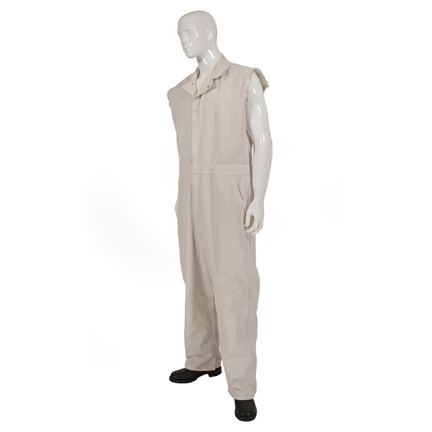 The outfit consists of a pair of Size 48 Long off-white cotton overalls with cutoff sleeves and a pair of Size 11 black leather work boots with Vibram soles. 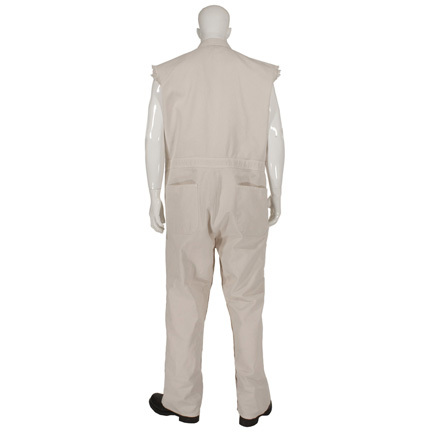 The “tear away” coveralls were modified with hidden Velcro along the inseams to allow the rigging from the wires and harness to be mobile while filming. 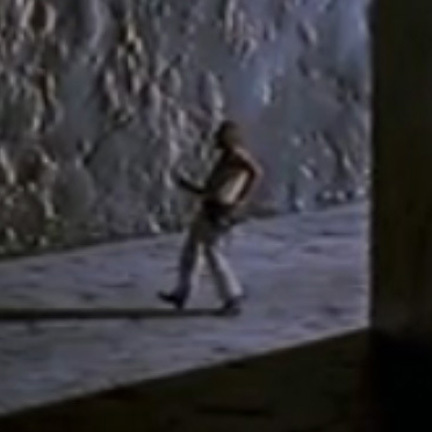 Mr. Bridges wore this costume in the “Gutterballs” dream sequence when “The Dude” has a bowling themed fantasy featuring various characters from the film. 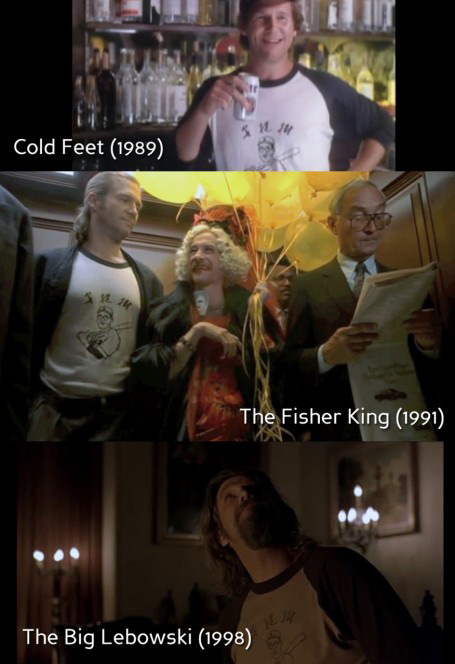 The boots were worn at the very beginning of the dance sequence before Lebowski is fitted with a pair of golden bowling shoes. 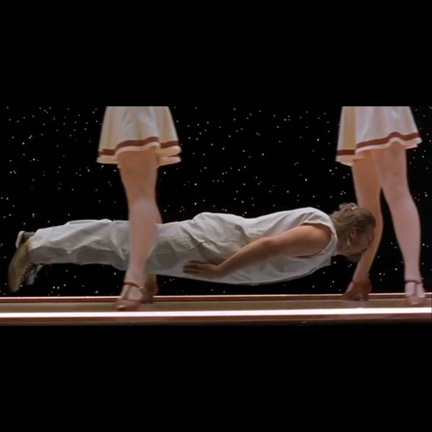 The coveralls were worn during the scene where he appears to float down a bowling lane beneath the skirts of several “Gutterballs” female dancers wearing bowling pin headdresses. 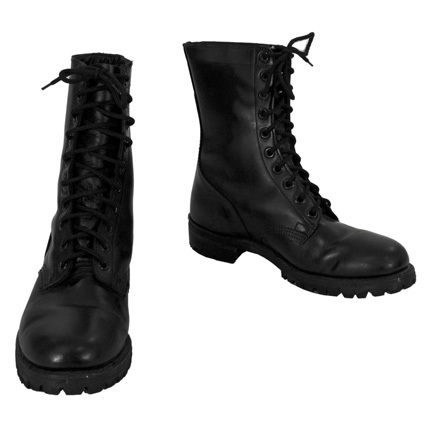 Since its release in 1998, the film has attained immense cult status, spawning fan clubs and websites around the globe. 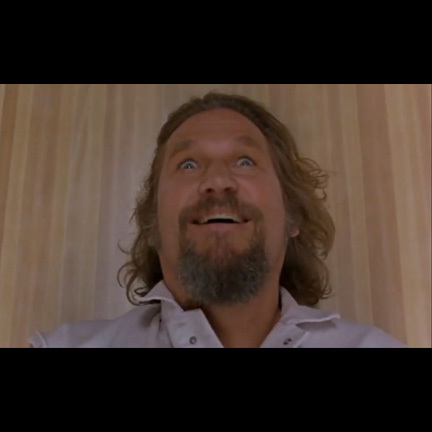 While successful at the box office, the movie’s ongoing popularity was an unexpected surprise to both the Coen brothers, and signaled a sort of “comeback” for star Jeff Bridges. 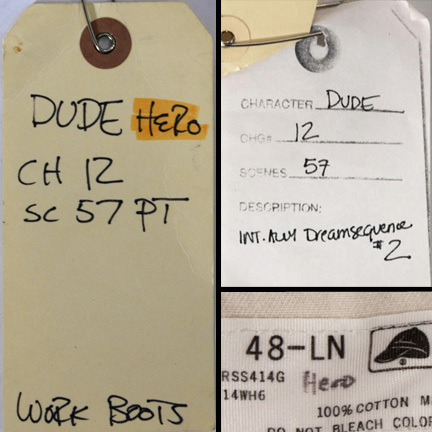 The original costumer’s tags are attached to both the coveralls and the shoes listing actor name, character name, film title, and assorted production notes. 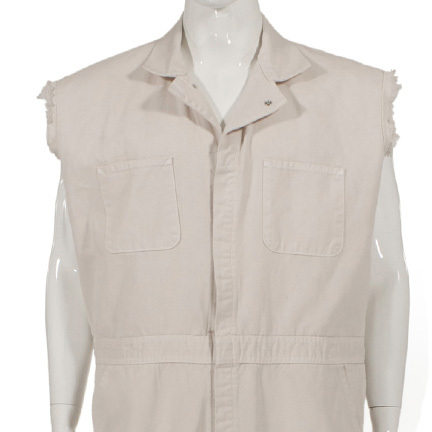 The costume is in hand distressed condition as seen in the film and is accompanied by a letter of authenticity.